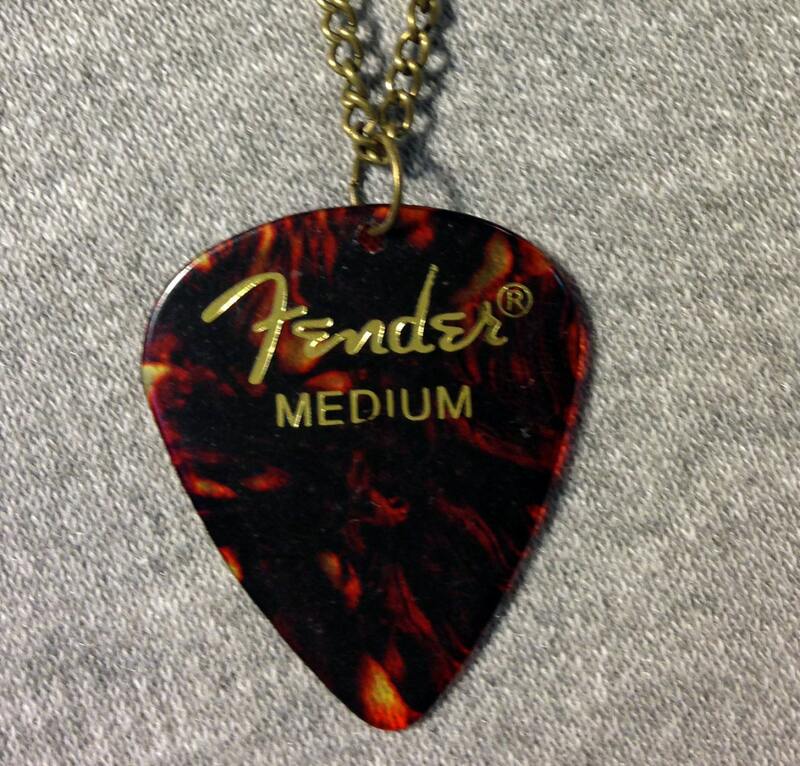 This listing is for one Fender Classic Celluloid Tortoise Shell Guitar Pick Necklace! 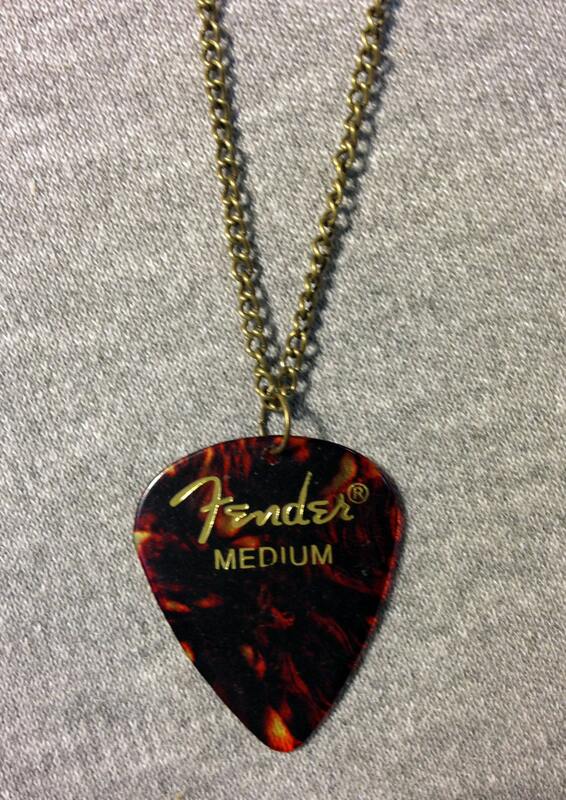 This is a real guitar pick, so you could take it right off your necklace and shred! ☆ The pick is standard pick size, 1 3/8" high, 1" wide. 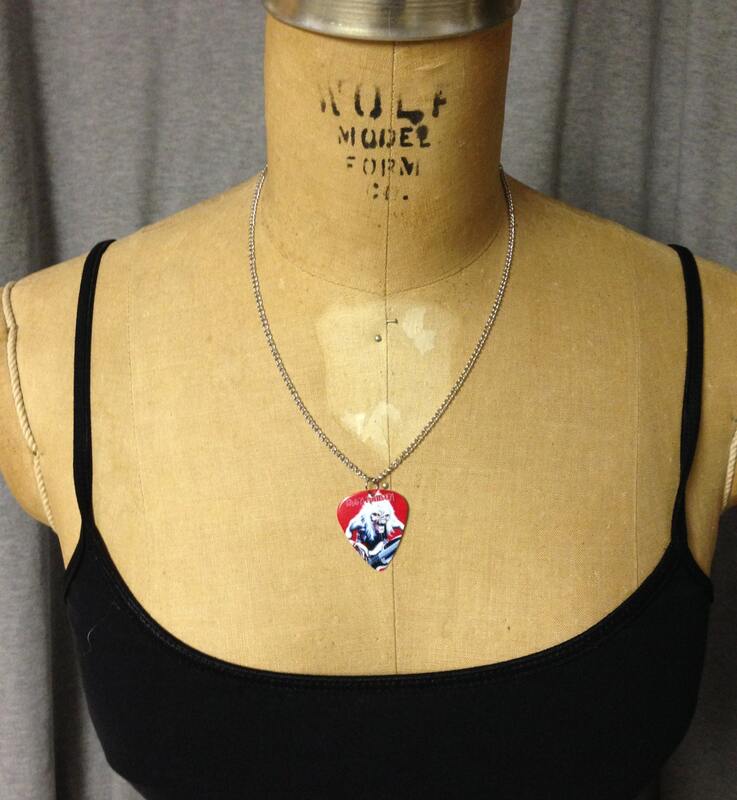 I have multiple necklaces with different picks and colors of chain, so please check those out! If you would like a specific color combination, I would be more than happy to accommodate if I am able.